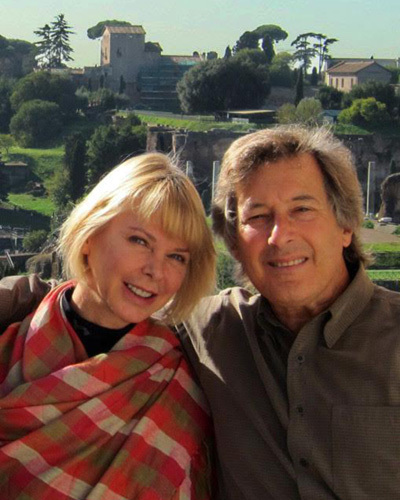 We pride ourselves in knowing more about Italy than most Italians who live here. 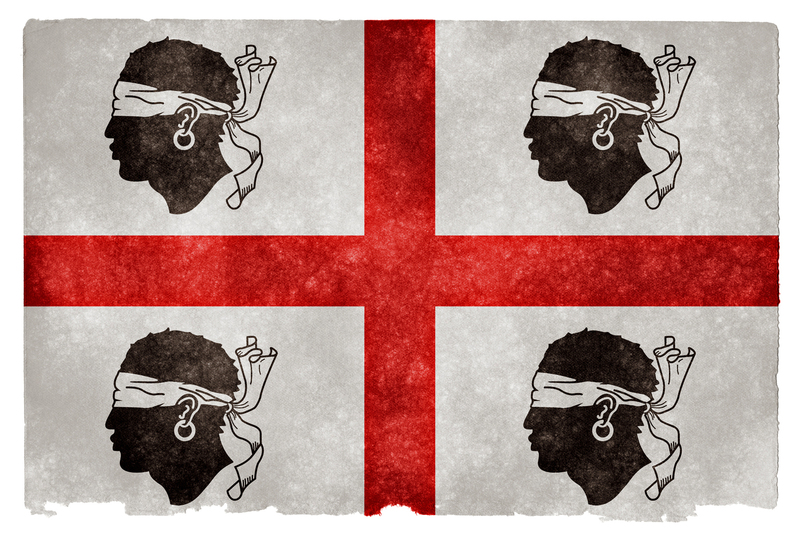 We’ve been north, south, east and west, but until now, we’ve never been to Sardegna (Sardinia). Although there is an abundance of sardines off the coast, the name of the island does not come from the fish. It’s an ancient Roman name derived from an ancient Sardegnian god named Sardus. But maybe Sardus was a fish? There isn’t too much information on this deity. The island has a similar history to Sicily with occupations of Phoenicians, Romans, Moors, Spanish and Italians. The flag, a red cross with four moors in each quadrant commemorates the 1096 defeat of the Moors by Peter I of Navarre and Aragon. We’ve seen some versions with the moors blindfolded and some with the head wrap is above the eyes. Sometimes the moors are facing to the right, sometimes to the left. To be honest, I have no idea which version is correct. The flight from Milan to Olbia, Sardegna was uneventful. Just the way we like it. It’s an easy 35 minute drive from the airport at Olbia to Golfo Arancia, our first destination which by the way is not the Gulf of Oranges. It’s derived from a misspelling of the Sardinian dialect “ Golfu di li Ranci” the Gulf of Crabs, not as romantic but nice just the same. 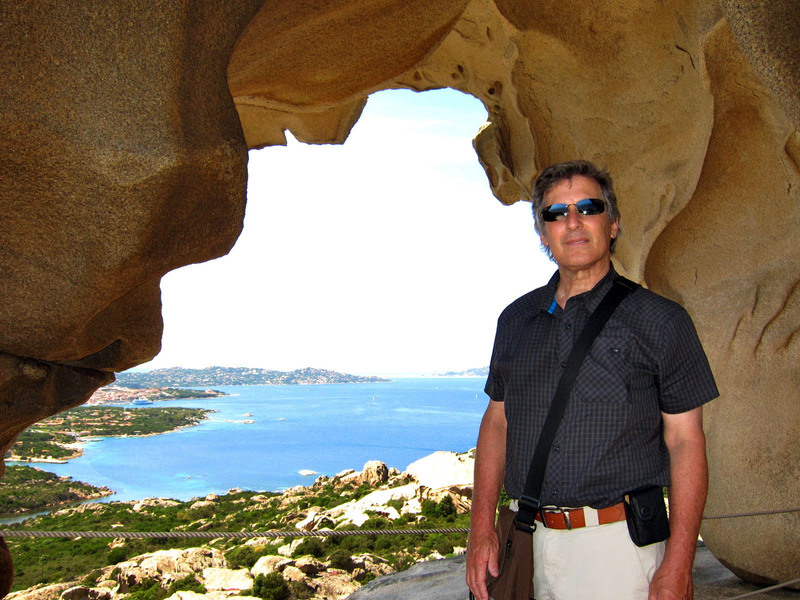 Olbia is a new airport with a definite island holiday feeling very reminiscent of Hawaii. Many of old fishing villages of the north island were swept up in the gentrification of the 1960’s and 1970’s when Sardegna became a second home for many upscale Italians and wealthy Europeans. 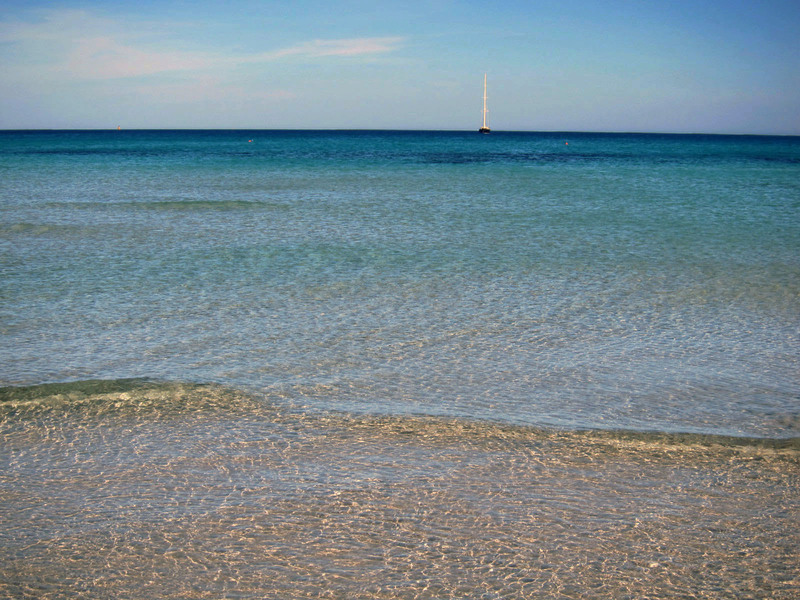 Places like Golfo Aranci became a summer destination. Places like Porto Rotondo and Porto Cervo became the playground for the rich and famous. The beaches are beautiful, the seafood is excellent and pricey boutiques are everywhere. Porto Rotondo and Porto Cervo are very reminiscent of San Diego, although the mega yachts of Porto Cervo harbor make it more like Cannes. 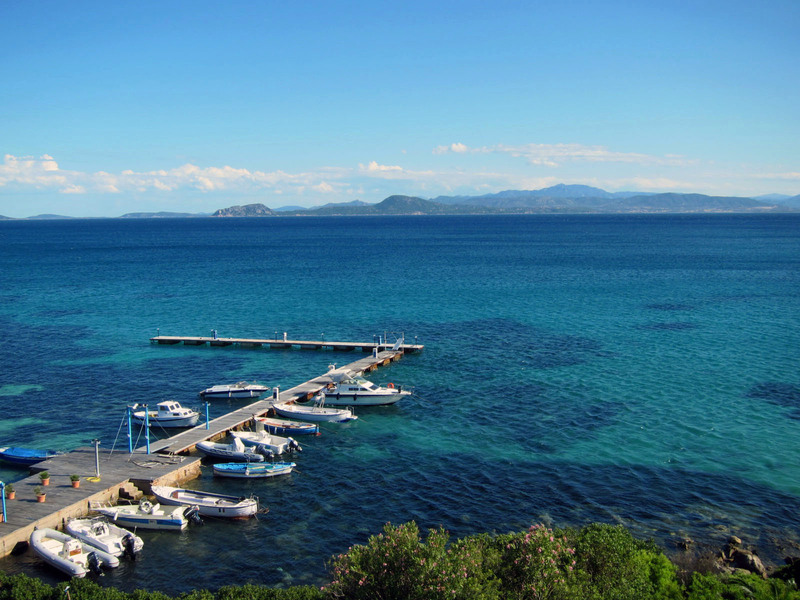 The north is referred to as “La Costa Smeralda” the emerald coast. It’s a name that not only reflects the color of the water but also the jewelry worn by the wealthy patrons. We even saw a shop filled with fur coats, in June. Even though the summer heat was hanging over the harbor, the owner told us people come in from the yachts and buy them. They don’t care what season it is. In 1961, a 35 mile long stretch of the coastline once filled with sheep pastures and fishing boats was transformed into beautiful marinas, exotic boutique mini malls, white sand beaches, world class golf courses and hotel rooms that can cost over $2000/night in high season. It was the stomping grounds of Russian Oligarchs international playboys, movie stars and more recently, the wild “bunga bunga” parties of Silvio Berlusconi. This multi-million dollar enterprise was the brainchild of Prince Karim Aga Kahn, the son of Prince Ally Kahn and the stepson of Rita Hayworth. But now, 50 years later, the coast is in need of some sprucing up. A blood transfusion is on the way in through the pockets of the Emir of Qatar who has just purchased the whole shebang for an unknown amount of Euros. Our hotel was in Golfo Aranci, a little south of the mega wealth. 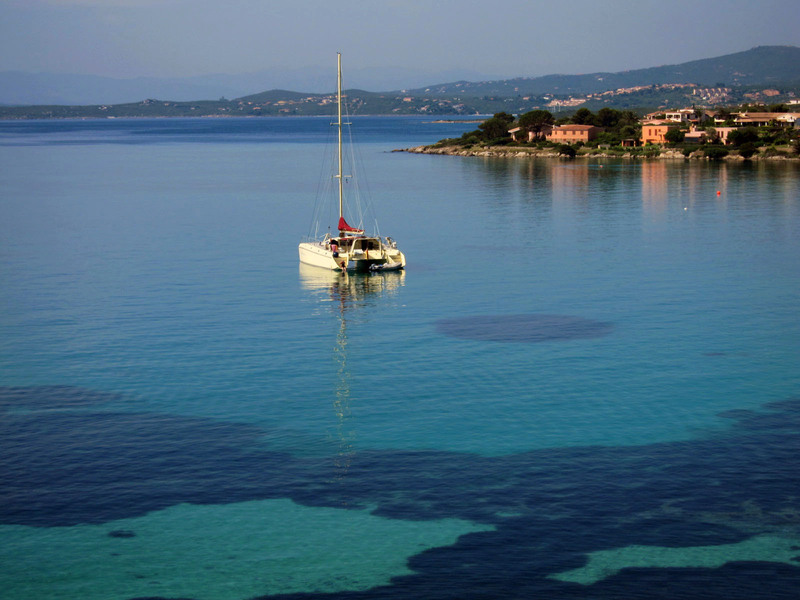 Golfo Aranci is a resort town but more laid back and fairly residential. When we arrived the big activity was the Italian Grand Prix Aqua bike World Championship. Two days of fierce competition and a noise that sounded like 3000 old time dentists drills had just invaded our brains. The front desk receptionist explained that each competition lasted for around 30 minutes and then there was a 30 minute break. We arrived during a heat that included at least 30 aqua bikes. So much for peaceful tranquility at the beach. However, it got better. There were only a few of the group events . I’m not against extreme sports. I actually find them pretty exciting, but I prefer the quiet ones. 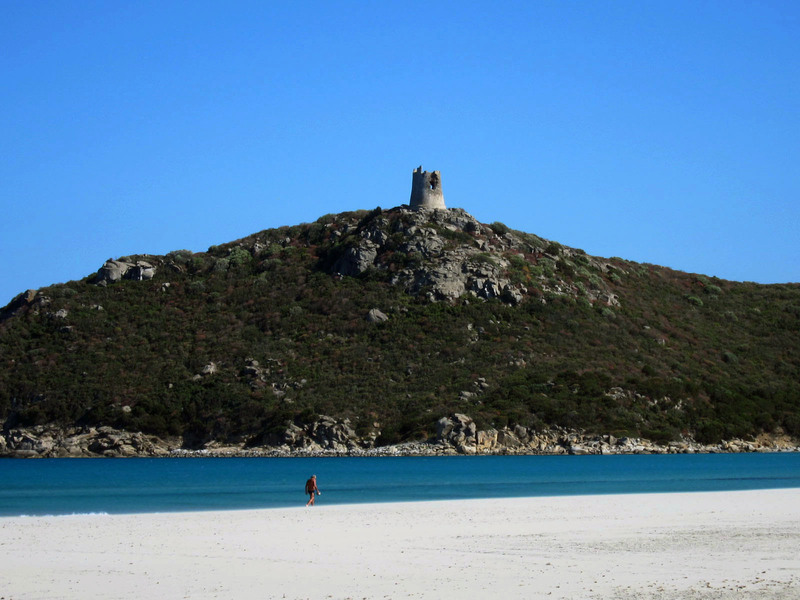 Above the Costa Smeralda is Capo D’Orso, a really beautiful eroded wind swept granite mountain range on the northwest corner of the island, a short distance away from the islands of Maddelena, Caprera, Santo Stefano, and Spargi. 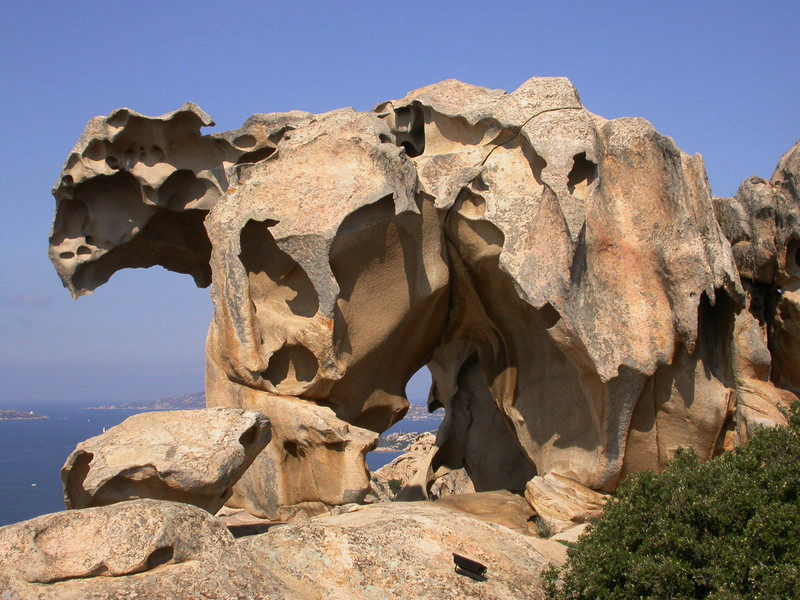 The Orso refers to a 300 million year old rock formation that from the sea looks like a giant granite bear. The oldest reference to the rock is from Claudius Ptolemy, the Greek/Roman/Egyptian astronomer/geographer who wrote about it as the Arcti Promontorium in the 1st century. The rock has now turned into a national park and there is a great trail up to the top with spectacular views. Sella e Mosca, one of the largest producers of Sardinian wine, did eventually manage to get something for the find. Their 18% alcohol wine named “Anghelu Ruju” is a big seller for them. It’s actually classified as a red wine liqueur. A few kilometers away is the site of the Nuraghe Palmavera, a settlement going back to 14th century BC. Nuraghe are round stone tower structures and can be found all over the island, supposedly there are around 7,000 of them, but settlements like this one are rare. 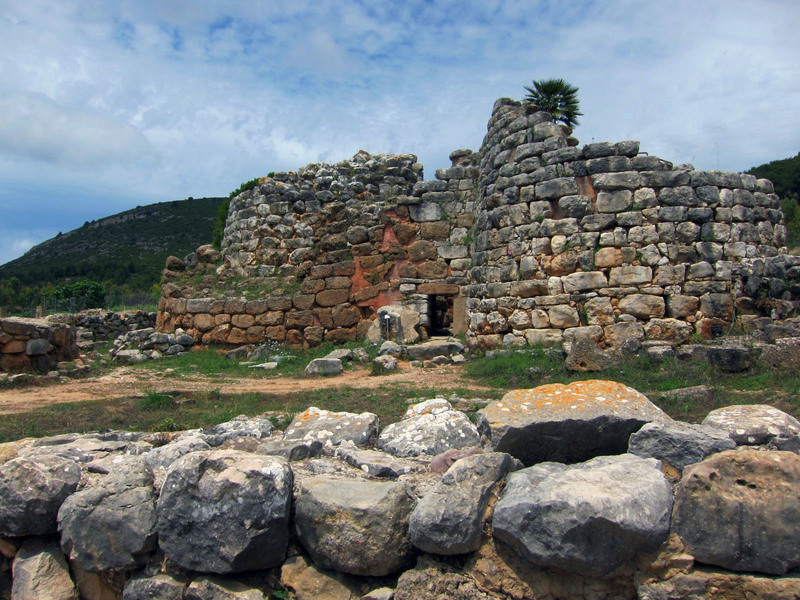 The Nuraghe di Palmavera was once a small settlement with a large Palace (for lack of a better word) with intersecting towers, two levels and a connecting staircase, a large community tower for civic and religious activities and possibly as many as 50 smaller single nuraghe dwellings about 12’ in diameter. 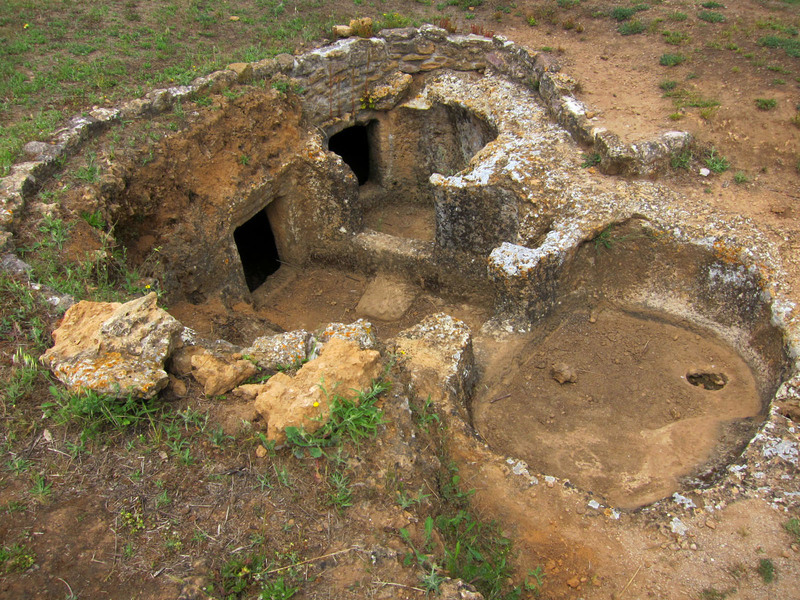 Archeologists think the site was used until about 700 BC when a disastrous fire destroyed the village. It’s amazing how they can come to these conclusions. Since we were so close, we decided to check out the coastal city ofAlghero. The old medieval city still maintains much of the 12th century Genovese fortress walls. The Spanish influence of the city is from the 13th century Catalan colonists who settled there. Even though Italian is the official language, the local dialect is a Catalan derivative and Catalan flags still fly high over the city. We had lunch in the Piazza Civica where in the 16th century, the Holy Roman Emperor Charles V once addressed the townspeople before sailing from Algero to Africa to fight the Turks. There are lots of beaches nearby and the big seaside attraction is Neptune’s Grotto, a stalactite cave that can only be reached during the calm weather of the summer months. It’s a 20 minute boat ride away and when the summer months arrive there are many tour boats in the harbor and dozens of vendors along the docks hawking inexpensive tours. After 3 days in the north, we set PIG (Position Information Guide) our GPS towards our next stop in the south, the small fishing/tourist town of Villasimius. For the next 4.5 hours we drove across the island and then across the island again and then down to large city sprawl of Cagliari, and over towards the southwest most point of Sardinia. The last road along the mountain cliffs overlooking the Mediterranean was very much like driving along the Amalfi Coast. Villasimius is built along one of those idyllic white beaches. Nearby is an 17th century fort, an old Saracen lighthouse on the beach, Phoenician archeological ruins, rock face tombs in the hills, a golf course, restaurants and lots of hotels. The Timi Ama Hotel, now owned by the Pullman Hotel chain, had everything we needed. 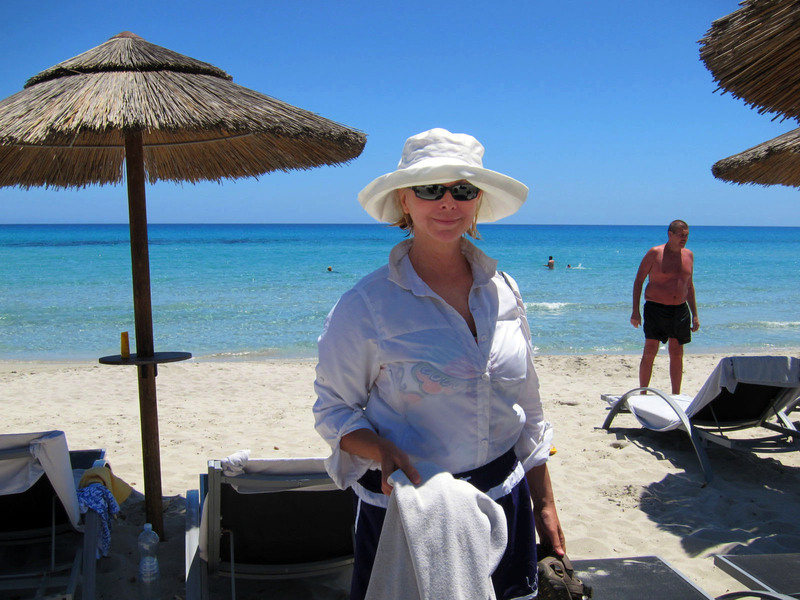 Each day we walked down a beautifully manicured trail leading to a pristine white beach with aqua emerald water. For lunch there was a quaint little café by the pool with delicious and inexpensive salads, and for dinner there was a small restaurant overlooking the quiet beach for dinner. The hotel is also on a breeding ground of Sardinian pink flamingos. There are an estimate over around 40,000 of these birds on the island. The locals refer to them as “gente rossa”, the red people, because they way they yell at each other sounds like people in the marketplace. Actually they sound more like a cross between a frog and a peacock. You could spend quite a while watching them march around the lagoon and stick their heads in and out of the water. We left the car in the parking lot and didn’t get back in till we left for the airport. We spent 6 days in Sardinia eating fregula with arselle (small round pasta with clams), octopus, calamari, bottarga (dried fish eggs), tuna, sardines, scampi and other fresh Sardinian seafood and we enjoyed the local red wines. The Cananau are strong and can be a bit tannic and bitter. The Carignano del Sulcis, which became popular since the 1970s) are much more approachable. They are dark in color, complex in taste, fragrant and powerful and very easy on the palate. We are big fans of the wines from the Mesa Winery, especially the Buio, Meno Buio and Poco Moro. All of them are amazing and not at all expensive.